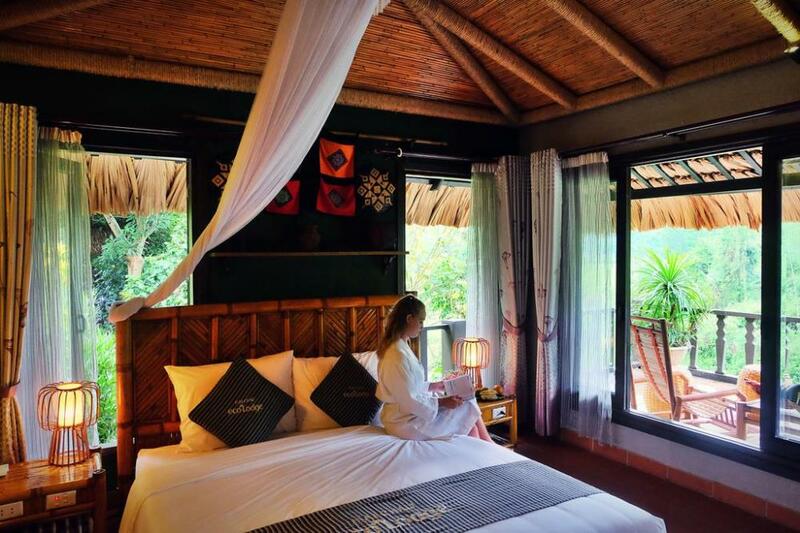 Cho dù bạn là khách du lịch hay đi công tác, Mai Chau Ecolodge là sự lựa chọn tuyệt vời để nghỉ lại khi đến thành phố Mai Châu (Hòa Bình). Mai Chau Ecolodge cách Làng Pom Coọng 500 m và Làng Lạc 1 km. Trung tâm thị trấn Mai Châu và Làng Vạn cách đó lần lượt 1,5 km và 3 km. Với vị trí thuận lợi, khách sạn dễ dàng tiếp cận những điểm tham quan du lịch nổi tiếng của thành phố. 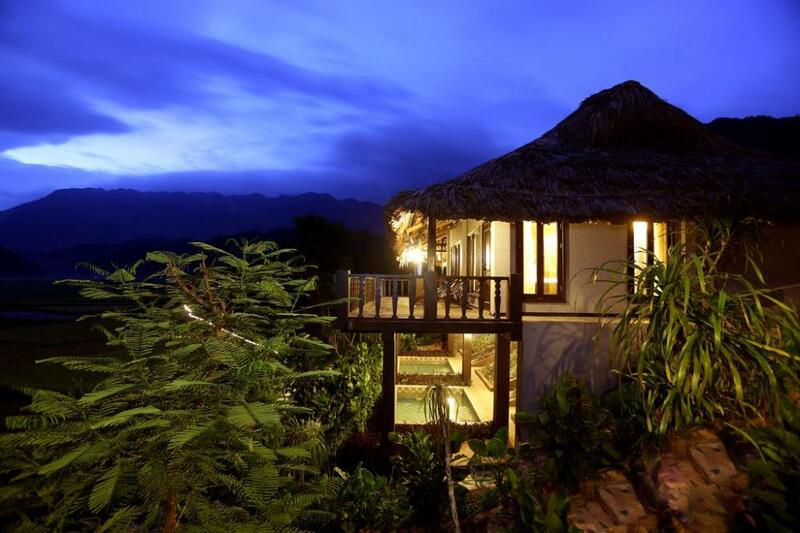 Tại Mai Chau Ecolodge, dịch vụ hoàn hảo và thiết bị tối tân tạo nên một kì nghỉ khó quên. khách sạn đem đến sự tiếp cận hàng loạt dịch vụ như dịch vụ du lịch, cho thuê xe, quầy nước, báo chí, thủ tục nhận phòng/trả phòng nhanh. Khách có thể chọn 43 phòng có không khí yên bình và tuyệt vời. Trong suốt một ngày, bạn có thể tận hưởng không khí thư giãn của mát xa, vườn, bể bơi ngoài trời. Hãy khám phá sự hòa hợp giữa cung cách phục vụ chuyên nghiệp và vô số tiện nghi tối tân ở Mai Chau Ecolodge. 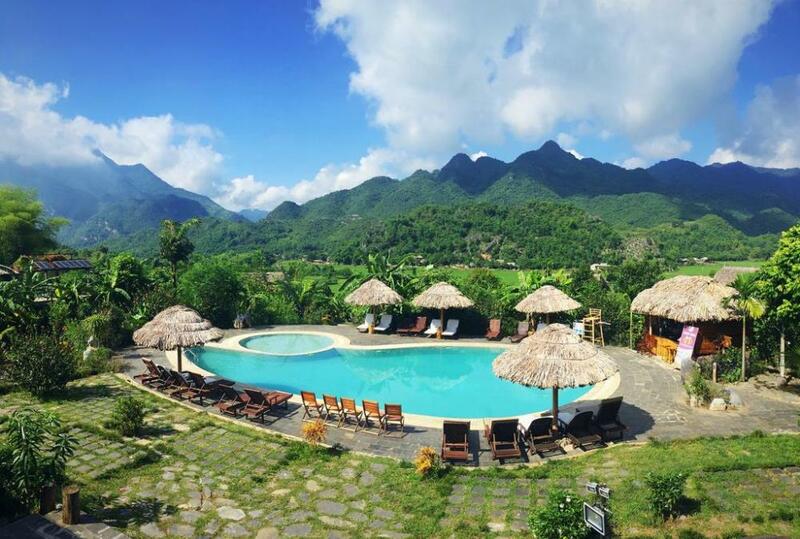 The Mai Chau Eco-Lodge is set in a spectacular location on a hill overlooking a sweeping valley of rice fields surrounded by several emerald green mountain ranges. It is a stunning spot. From a distance, the Lodge actually looks a bit like a small version of Mont Saint-Michel. Well, like one made from bamboo and thatch anyway. It opened about a year or so ago and we booked one night in June with our two kids in connecting “Junior Deluxe Rooms.” My only regret is that we couldn’t stay a few more nights. The pool is nice and centrally located. The restaurant is on the level above the pool and the reception and our meals were good. Enough western food to keep a picky 11 year old alive, but other stuff for us that was good and fresh. We used the spa as well and had some very nice and very affordable massages. Most evenings, there is a performance of local dancing and singing. The Lodge was pretty empty on a Friday night, and some of the performers were front desk/restaurant staff. It was fun, the costumes vibrant and the young Vietnamese performers very attractive and enthusiastic. Our kids got to dance between the clacking bamboo sticks and get into the swing of things. Cheesy to be sure, but enjoyable. At the end, we all (kids included) took long drags on even longer straws from the ruou can, or shared clay pot fully of highly potent rice wine. We all slept well. Next morning, we went out with a bike guide from the hotel and did a two hour peddle through the fields being harvested and through a number of adjacent villages. A great ride on paths and narrow bike ways with no real vehicular traffic – except of course periodic motorcycles. Super fun. Lots of textiles for sale with looms in action and some were really gorgeous. As we got nearer to Mai Chau, the level of tourist oriented shops increased pretty substantially. I picked up on a pretty pleasant backpacker vibe, but was glad to be out where we had stayed. I would have really liked to have spent more time in this area. 1 night out of our month long trip just wasn’t enough. 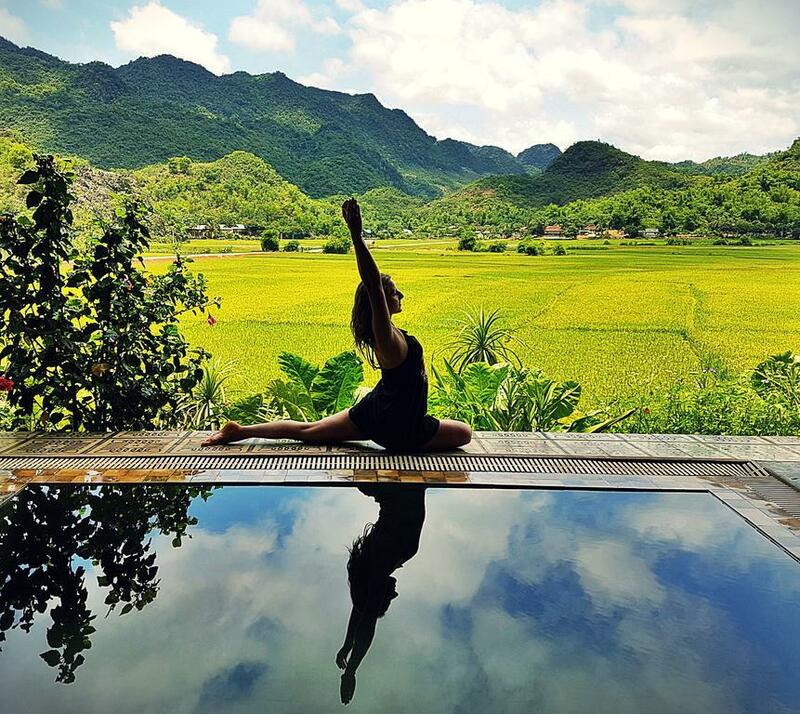 The rice paddies in the valleys and the soaring green mountains above kind of fulfilled a Vietnam fantasy of sorts for me. I hated to leave so soon. In hindsight, an extra night here would have been terrific, though much of that is likely due to timing the harvest (accidentally) so well. In any event, I wish we could have stayed a few more nights. 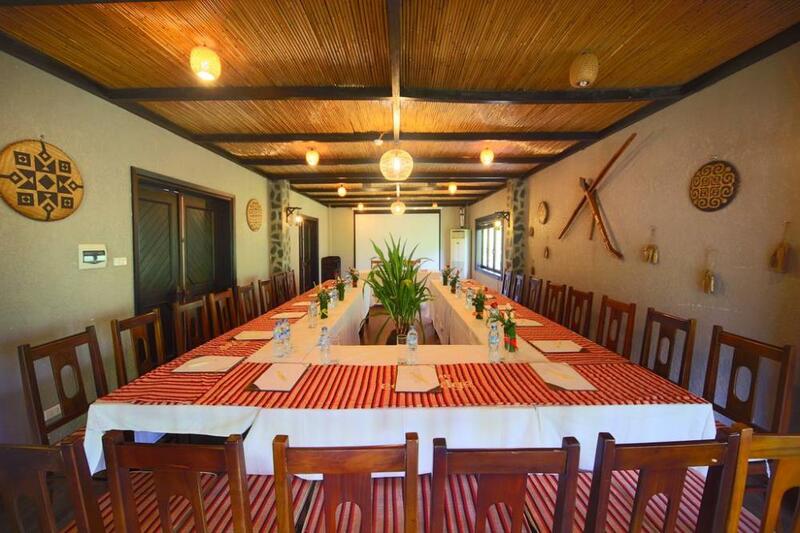 You would have to try hard not to have a nice time at this lodge. 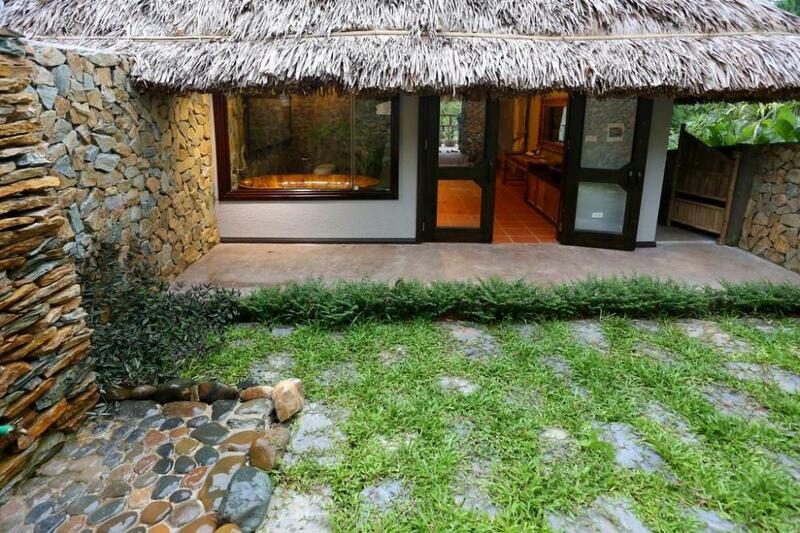 Arriving at the ecolodge we were overwhelmed by the beauty of the lodge and its surroundings. The view is simply stunning. The ecolodge gardens with the impressive amount of flowers and butterflies are beautiful. 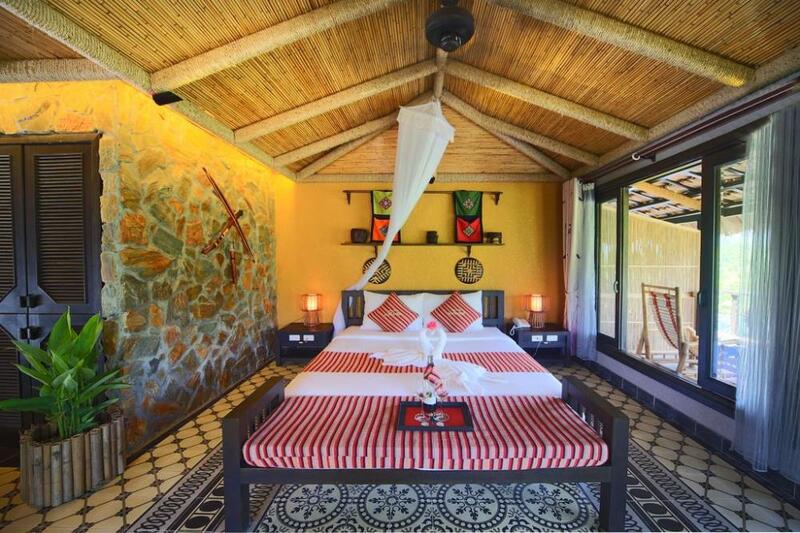 We booked one of the most luxury rooms with a private pool. 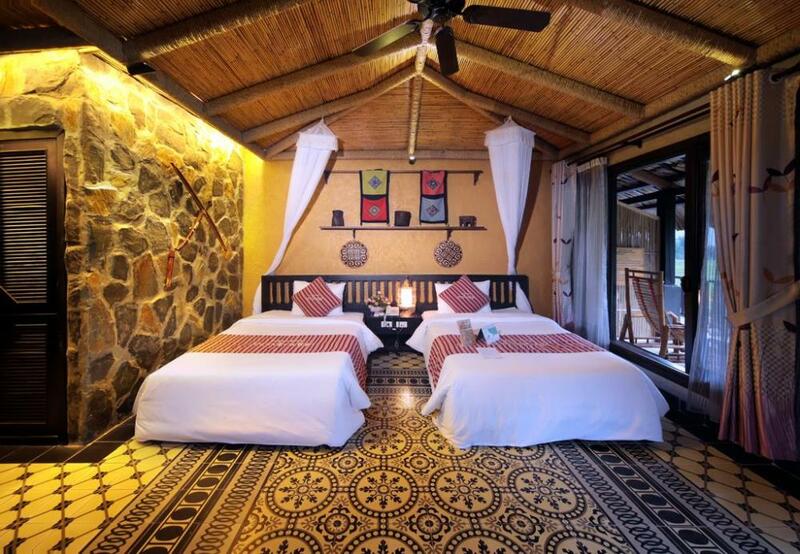 The room is spacious with a comfy bed and pillow. 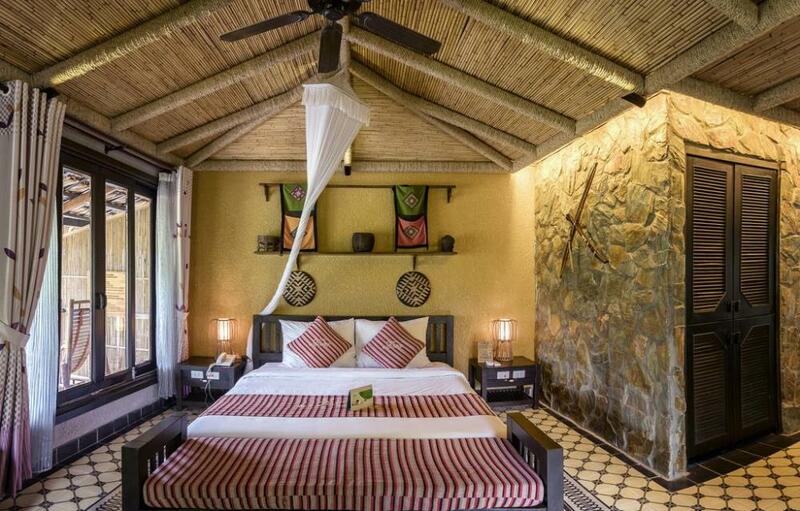 There is also a mosquito net over the bed but it doesnt close properly so the insects still come inside. Next to our private pool lives one of the biggest spiders we have ever seen. I assume it was a huntsman spider. 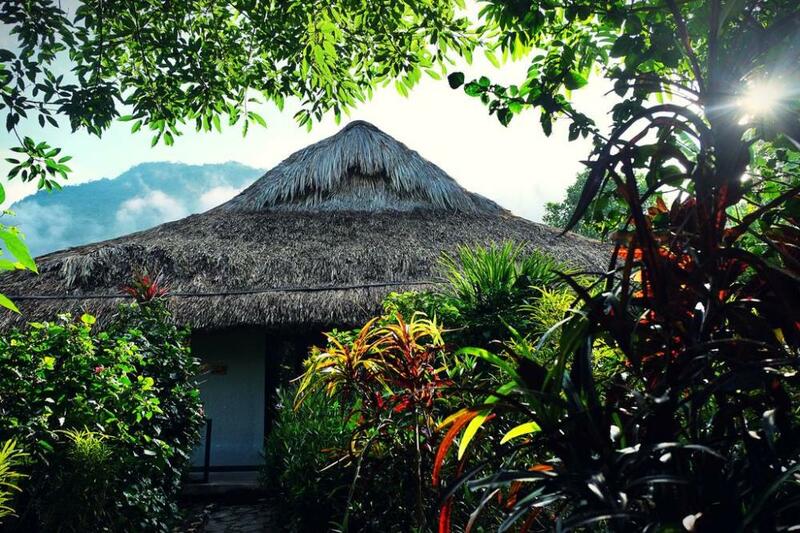 We also had a couple of nasty bugs inside our room during night, so we definitely felt like sleeping in a real 'semi-jungle' ecolodge. 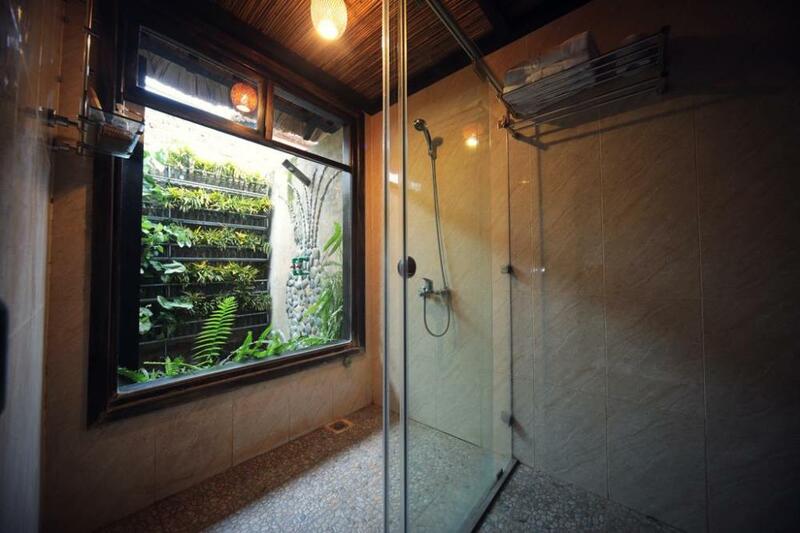 The outside shower in the private garden of the room is a bit overgrown by the grass so we didnt use it. 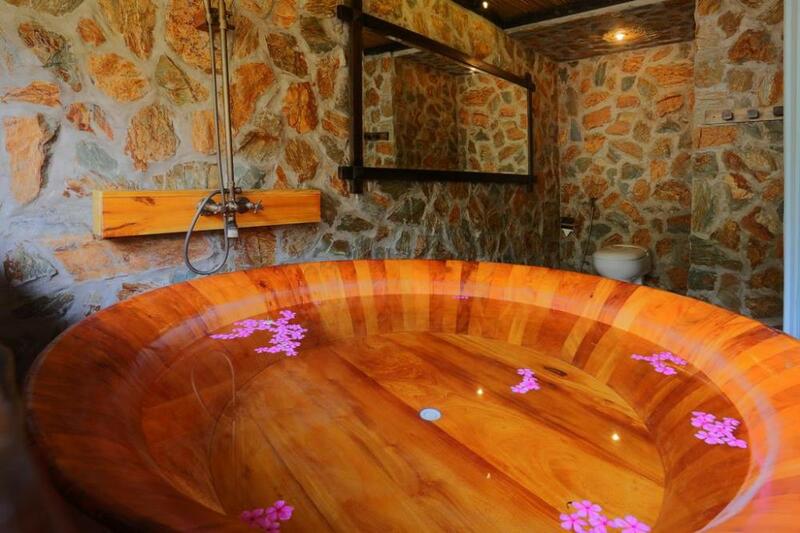 The inside shower is inside a huge and beautiful wooden bathtub. Once you managed to get the water on the right temperature it is a good shower. The room and bathroom are clean. 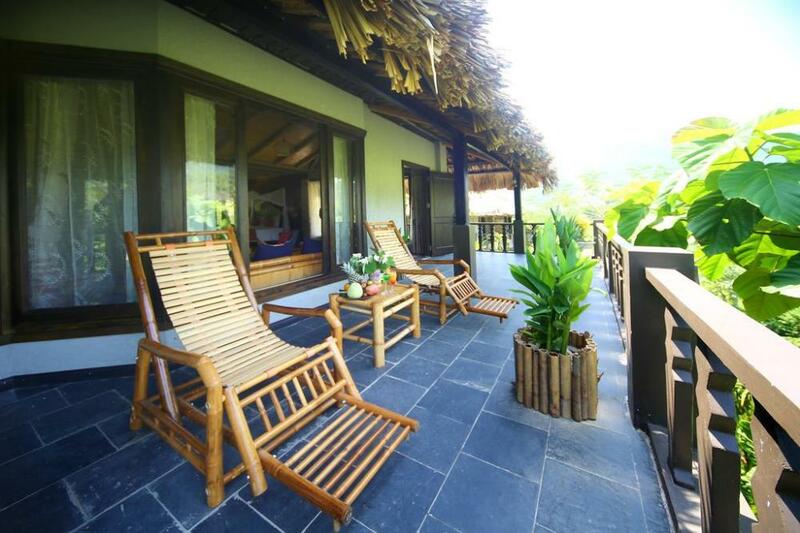 There is a nice balcony in front of the room where you have a spectacular view over the rice fields. Aircon in the room works fine. There is also a ceiling fan in the room. The private pool is nice to have but is not really private because the one of your neighbours is directly next to yours. Also the private pool is very dirty with some sort of brown algae growing on the tiles. I guess it could use a little bit of chlorine. This is a bit too much of the econess. I guess the lodge is very much againt the use of chlorine as the main pool also hasnt any in it. We have seen a couple of waterbugs inside it so if these can survive it must be all natural. The main pool is still nice, although indeed a little too warm to be able to cool you down. The beds/pillows around the pool are very dirty, probably because the ecolodges pigeons like to chill on these beds along the pool. The pillows should be replaced or washed properly. The breakfast was fine with nice fresh omelettes and crepes. The a la carte diner was also good, although on the expensive side. We enjoyed using the hotel bicycles to explore the countryside around the ecolodge. There is not much to do here so you basically relax, swim and enjoy the view. Only negatives would be the dirty private pool and the pickup service from hanoi. 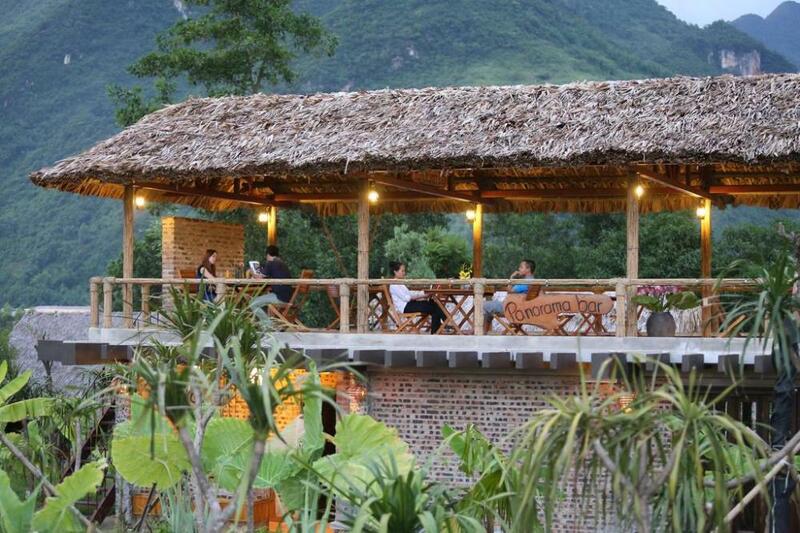 We booked a pickup service from hanoi to the mai chau ecolodge. The driver was supposed to be at our hotel in hanoi at 9 o clock but arrived around 10:30. We have been waiting in the lobby for almost two hours. We had to call the ecolodge ourselves to ask them where our driver is. I think this is a bad service for which you have to pay the ridiculous amount of 100 us dollar. There is also wifi in your room but it doesnt work properly. The wifi in the restaurant is a lot better. Still it is a stunning place and very nice to visit. 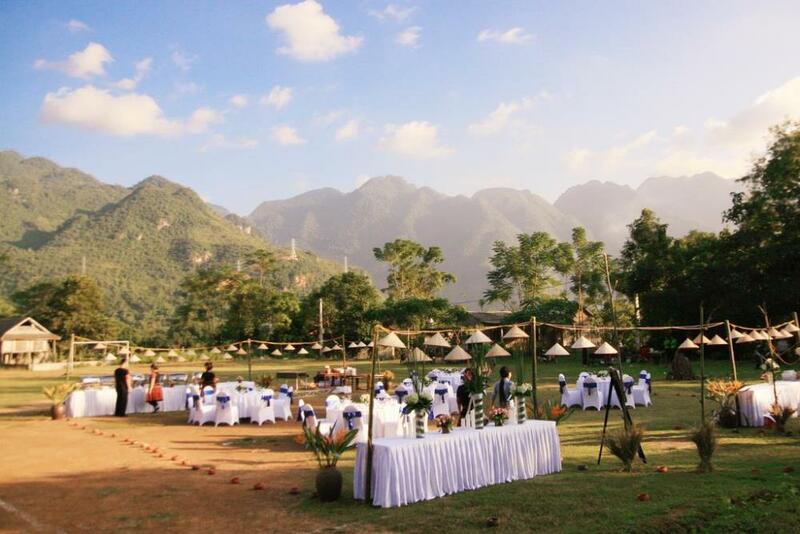 I would definitely recommend to come over to mai chau for 2 or 3 nights and relax and enjoy the scenery! 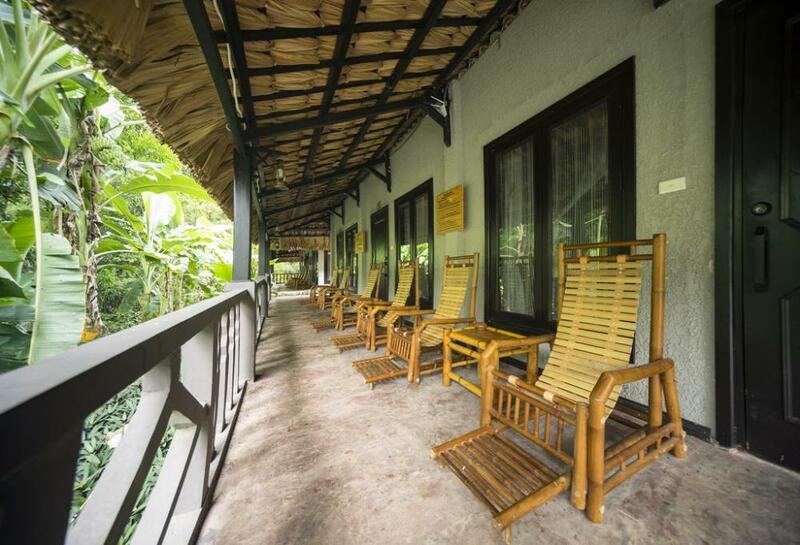 if you're looking for a serene getaway, it'll be hard to find a place more beautiful than this. service is great so as with the room. the view to the rice fields and birds singing with the sunrise in the morning may just be the most wonderful scene I've ever experienced. 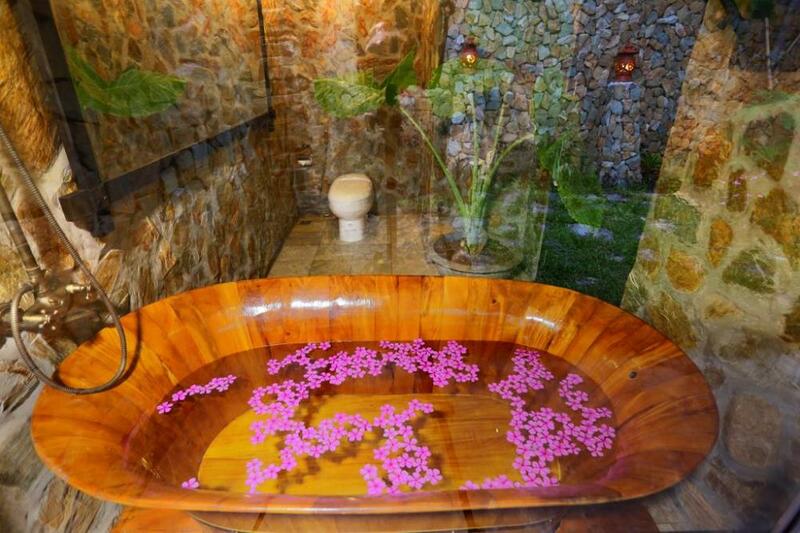 the room itself is very functional and comfortable with outside shower and a huge wooden bathtub. 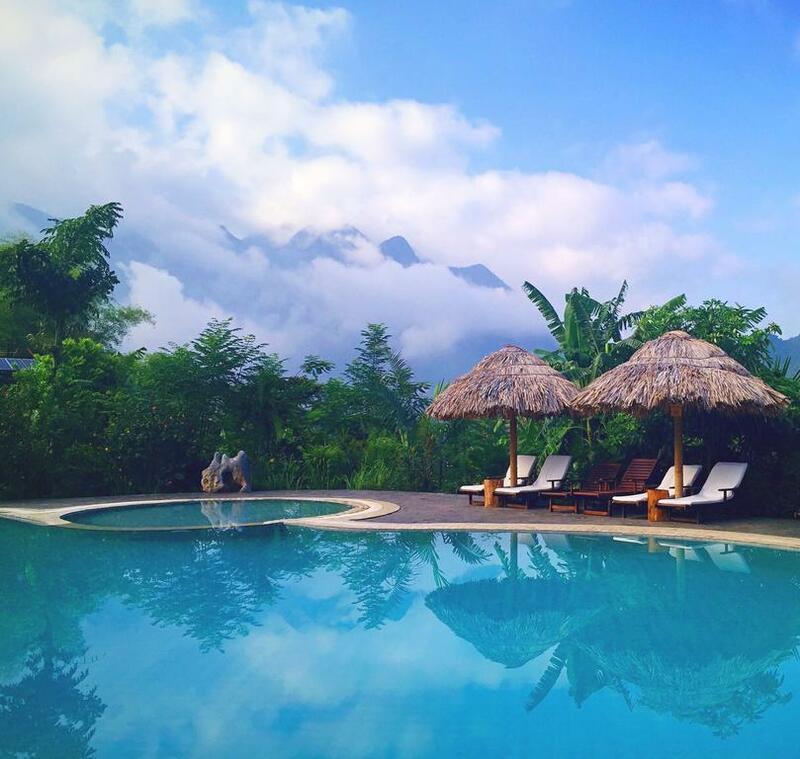 I was really impressed when I first arrived at the Mai Chau Ecolodge. The scenery around was stunning and I liked the signs around the property reminding people that this was not a resort and to respect nature and others. I also found the absence of TVs in the rooms to be refreshing. However, the place is really showing its age and could do with some renovations and TLC. As some other reviewers have noted, the gardens could use a bit more attention. In terms of the room, the A/C was not particularly cool when I arrived, and this made the room a slight bit more uncomfortable after the staggering heat and humidity outside. Once again, this is just a maintenance issue. 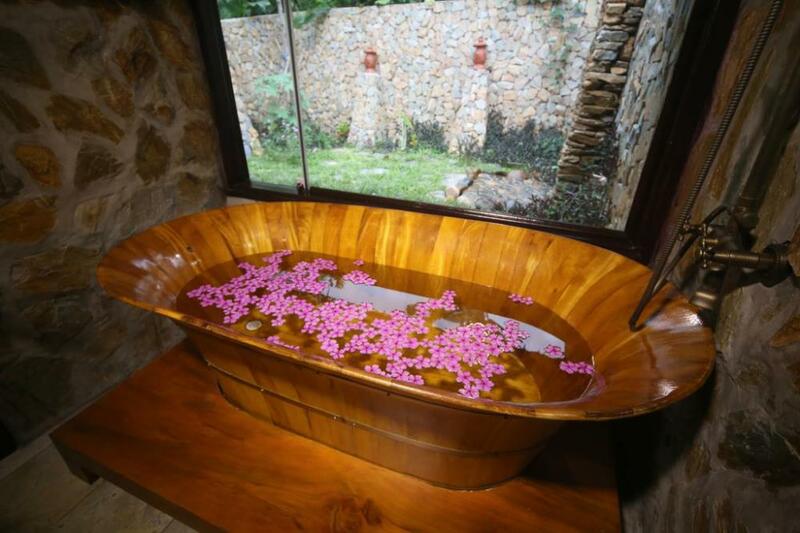 The bathtub (which appeared to be wooden) was not sturdy and gave me a scare as I was climbing out of it (maintenance issue) and the water did not flow to the drain (maintenance issue). The swimming pool was dirty (maintenance issue) and some of the cushions on the deck chairs had stains and gecko droppings on them. Some friends and I borrowed some bicycles for an hour or so, and they all were in need of regular - you guessed it - maintenance. I really wanted to love this place, but I just feel like it needs to be spruced up in order to be a much better accommodation option. To end on a positive note, all of my interactions with the staff were great as they really do their best to please. 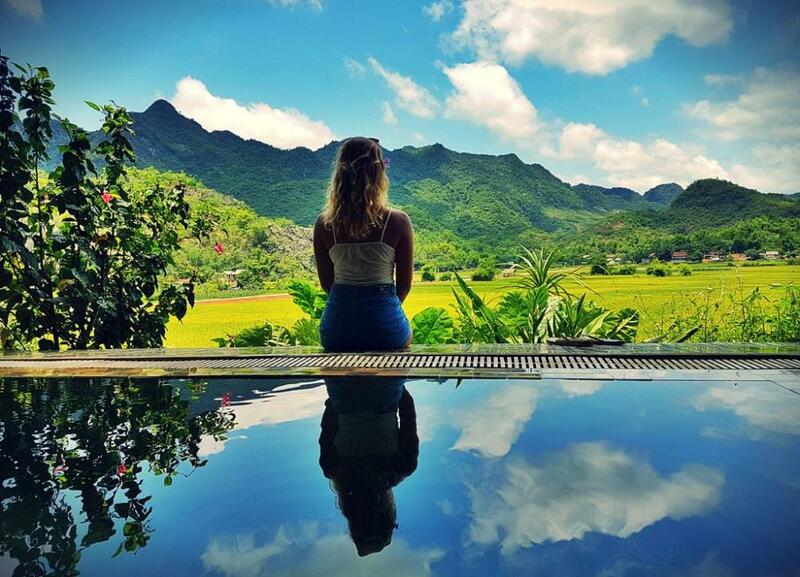 If you are looking to experience the beauty of the Vietnamese landscape and take in the traditional lifestyle, look no further that the ecolodge at mai chau. You may be put off as you make your way onto the dirt roads leading up to the establishment, but once you get through the main gates, you will discover this is place that is actually very well cared for. The staff is extremely kind with English speakers available to help you with whatever you need. 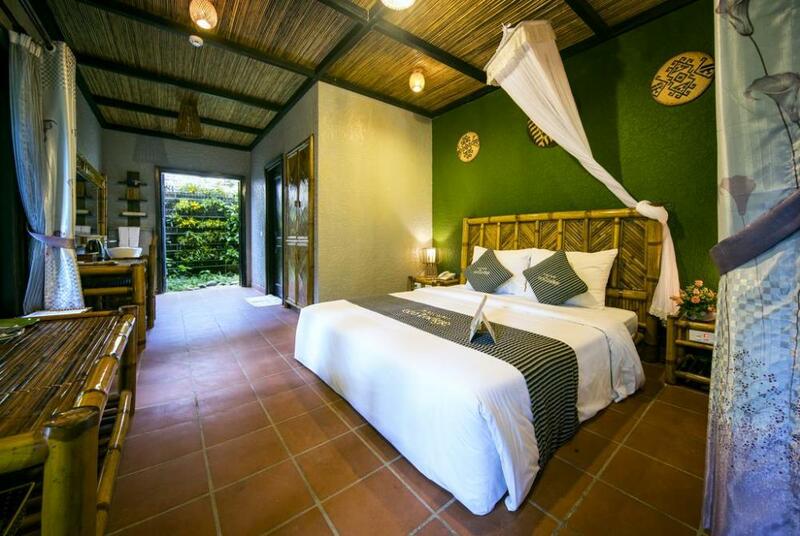 The rooms are very comfortable with well-functioning air conditioning, comfortable beds, and some even come equipped with their own private baths and pools. 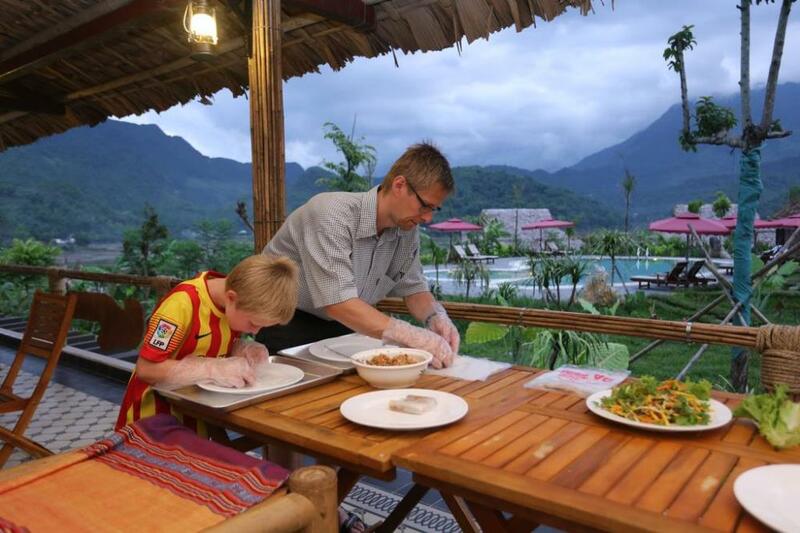 The restaurant offers a nice selection of both Vietnamese and western foods, depending on what you want to try. The cost is a little above average, but that is to be expected. There are also tours on hand if you wan to go and explore the landscape. All and all, I was very happy with my trip to the ecolodge. I intend to go back sometime in the future. 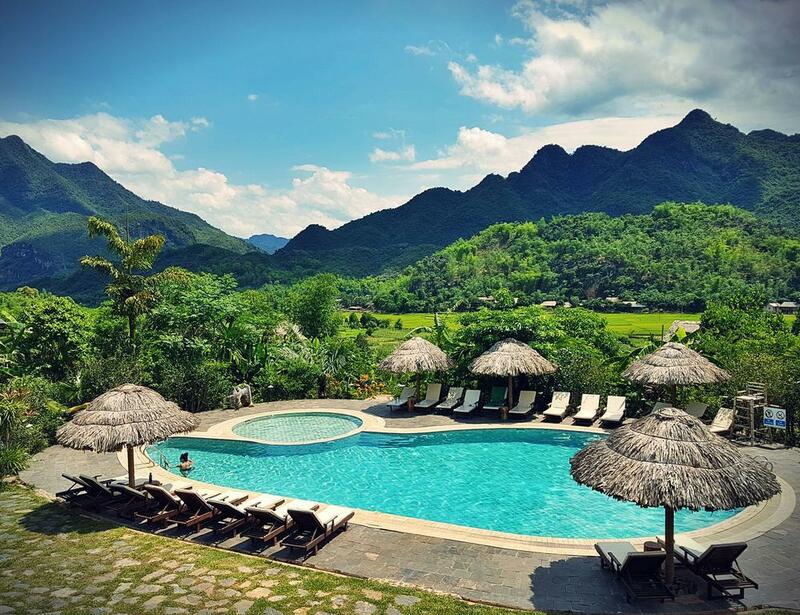 We just spent a great weekend at the Mai Chau Ecolodge. 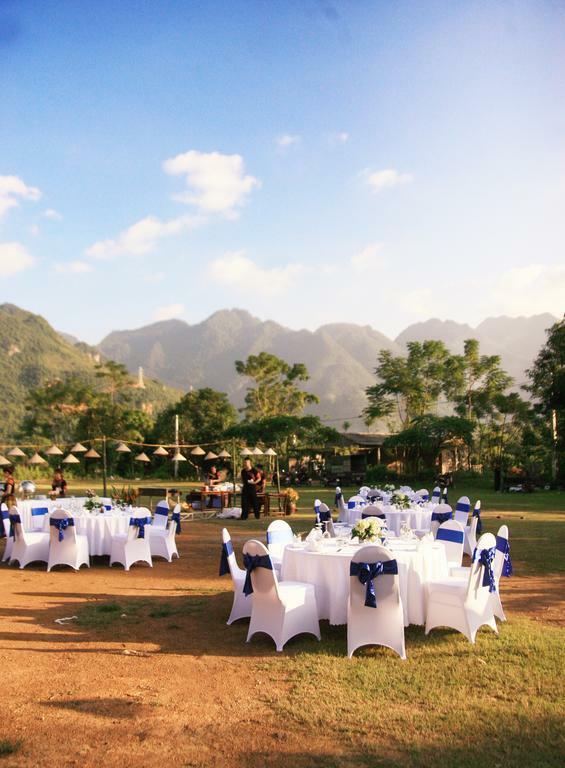 I have visited Mai Chau before and love the area. 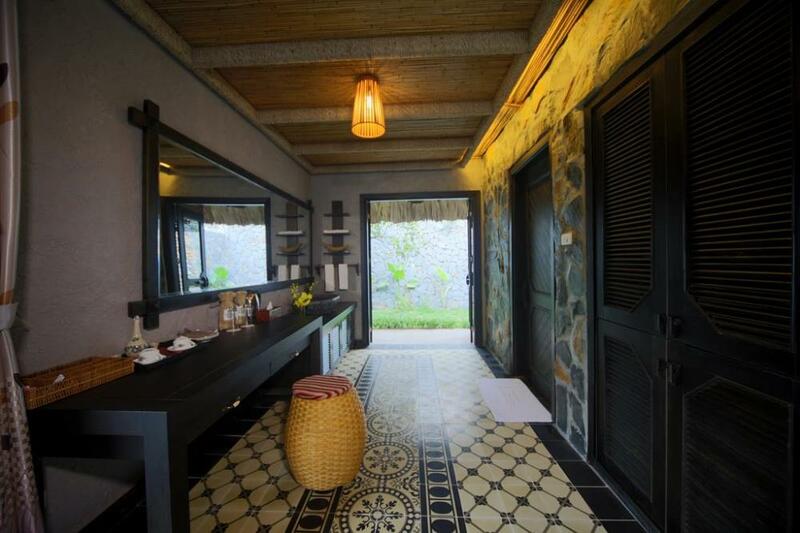 For peace and tranquility in an authentic rural setting, near Hanoi, it's hard to beat. 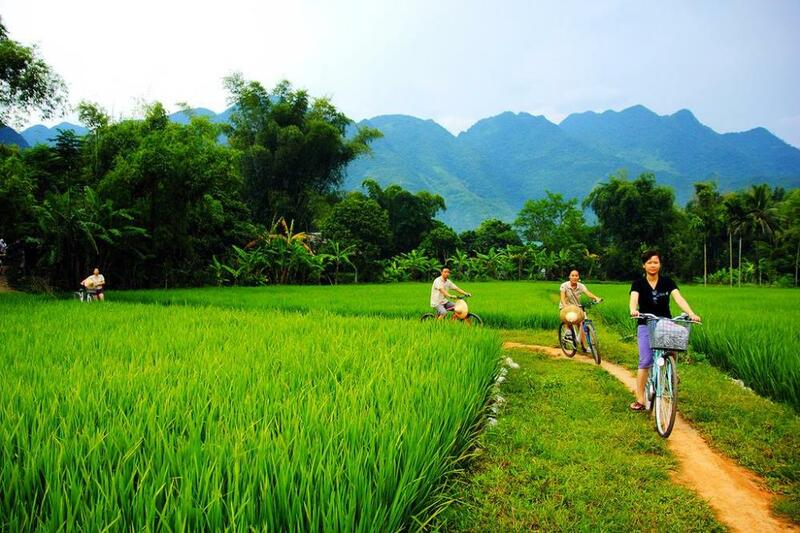 We used the free bikes from the hotel to cycle around the rice paddies and through the nearby villages and loved it. 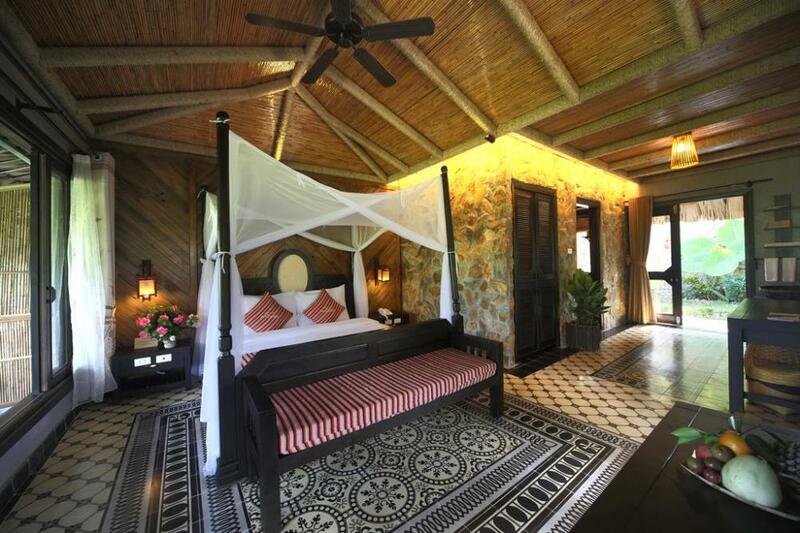 The lodge itself is more high end than most accommodation in the area. The location is a little hard to find but a quick call to reception solved our issues. I would describe the ambience of the hotel as "rustic luxury". 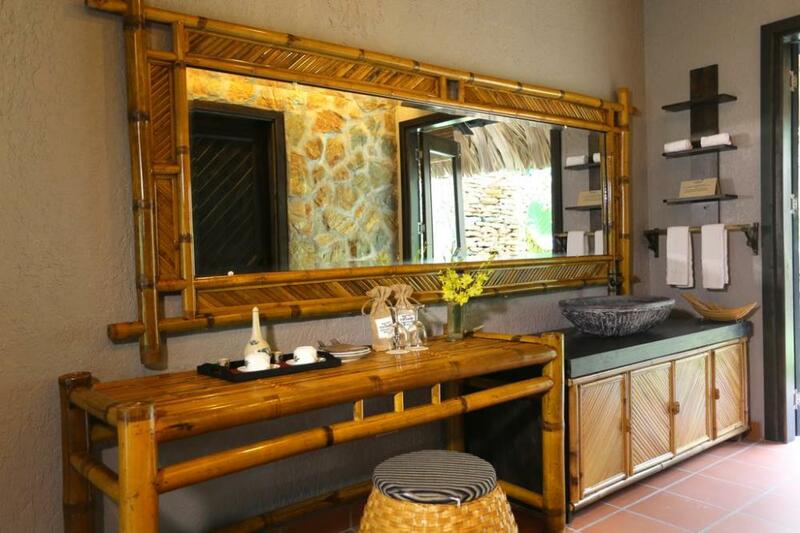 They have done a good job of using local materials and the hotel blends in well with the surrounding environment. We booked a suite room which had an amazing view and was very well presented. We took our 2 year old son and found the hotel to be quite child friendly (Child bike seats available, kids area in the pool etc). 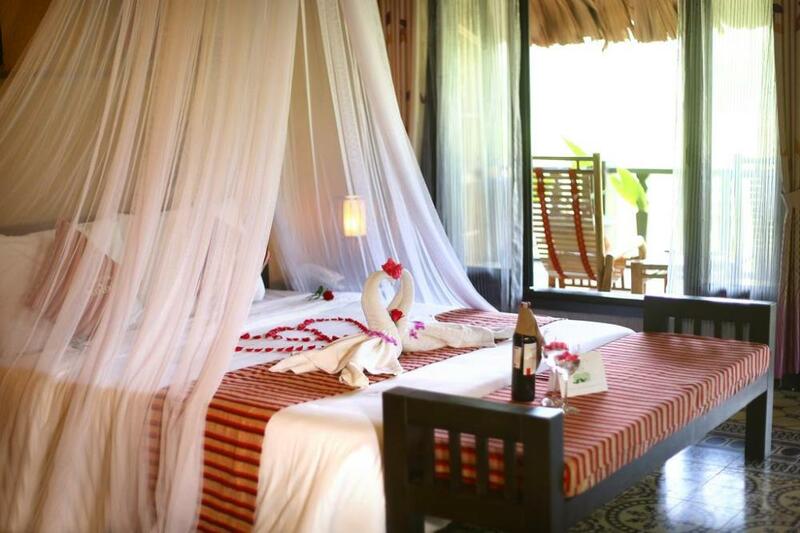 It would also be a good location for a romantic or special occasion getaway. We stayed on a Saturday night and the hotel was quite busy. It wasn't a problem but, the pool area and restaurant were quite crowded in the evening. 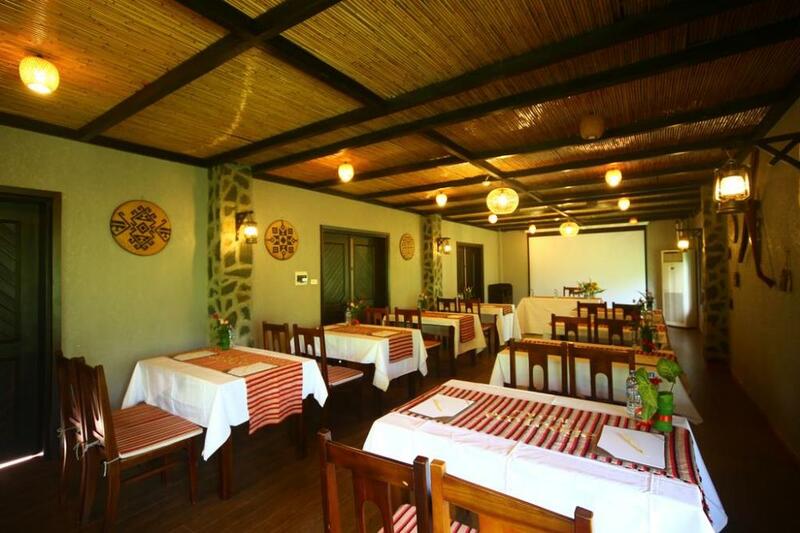 Whilst we had a great experience and would encourage other travelers looking for a rural experience to visit the hotel, there are some changes. that could have made our stay even better. The food was OK, but by no means "high end". At a hotel at this price point, we were hoping for something better. We also would have liked to see the option of room service. Drinks could be delivered to the room but not food. That said, the staff were happy for my husband to collect dinner from the restaurant and bring it to the room. 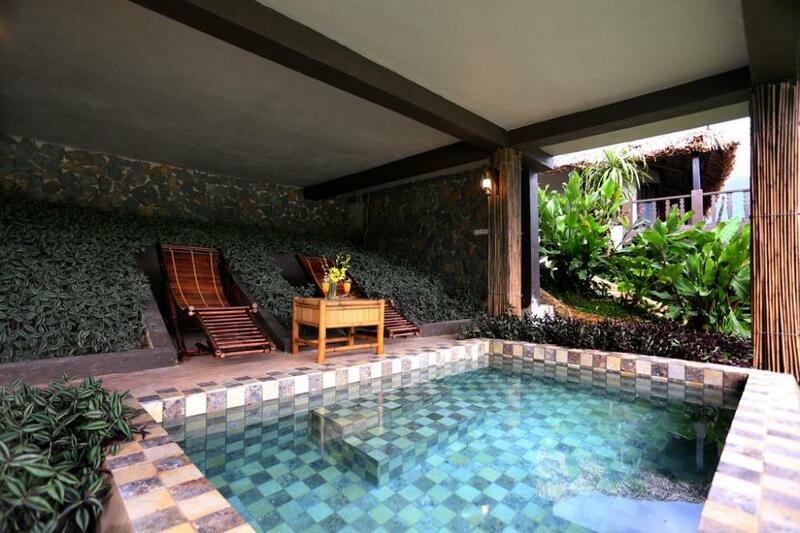 Our room had a private plunge pool which was a great addition but, it was very exposed to the private pool area of the room next door. The setting of the pool really lends itself to being able to relax and enjoy the great view but it doesn't quite work without privacy. Some additional screening or plants between the two pools would really help. Overall, we have come away very happy with our weekend and looking forward to visiting again. This is one of the most beautiful logdes we have even been in. A great view of the rice field's. We had a hicking tour of 20km through the mountains we the most spectacular views. And a greet guides cald Há Duć Hoi. 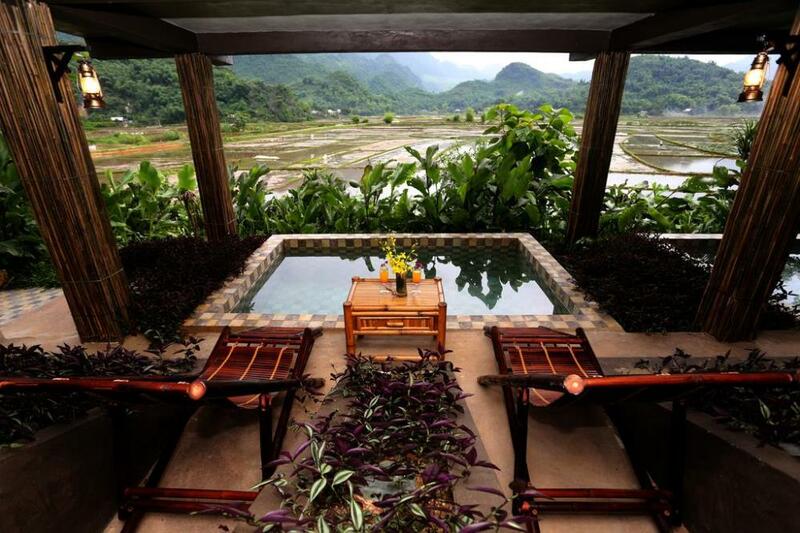 This ecolodge has one of the most stunning locations in Vietnam. 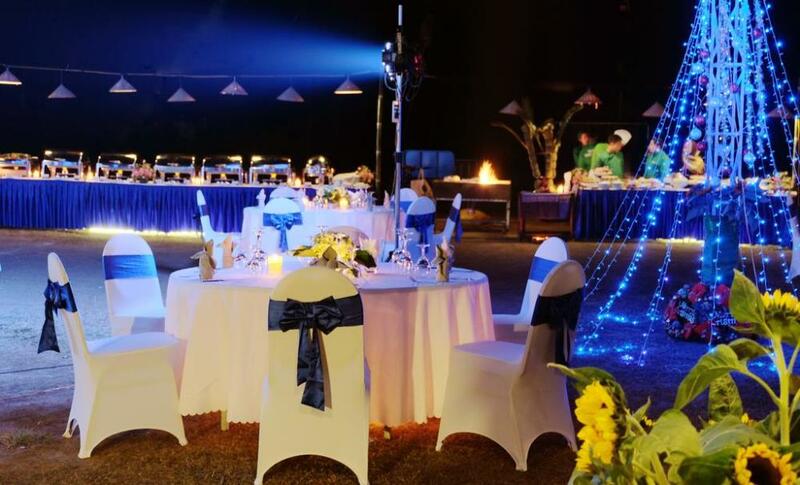 The services and facilities are also among some of the best available. 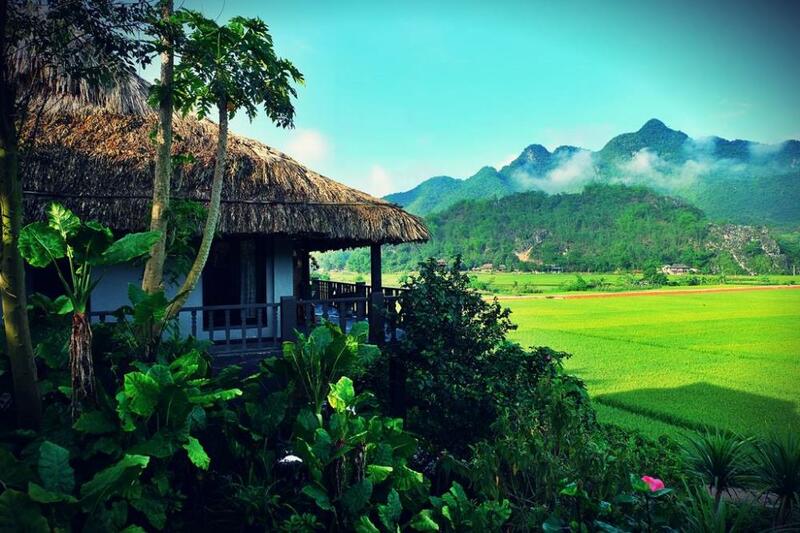 Our room was amazing, a view out over the Mai Chau valley, with rice paddies for several miles and then rising hills all around. It's perfectly tranquil. There was a private pool, even though we didn't use it, and the bathroom was almost as large as the spacious sleeping quarters! The only missing thing was a chair in the room for the table, a seemingly obvious omission. Breakfast was standard, but had a number of local Vietnamese dishes which are worth sampling. The staff were attentive, spoke excellent English and were always on hand to make sure we had everything we wanted. Meals at lunchtime and evening were superb, with a selection of inventive and traditional local fare which was filling and not overly expensive. In the evenings they had regular performances of local music and dance, which were very entertaining. The performers genuinely enjoyed themselves and we all had a fantastic time. During the day, we took a tour with Trung around some of the local ethnic minority villages, which was accommodated for my father who can't walk quickly. We had a fantastic time, it was a unique experience, highly recommended. We also borrowed bicycles for a very enjoyable cycle ride around the valley, where you can see a few of the more touristy areas. This was very a relaxing and enjoyable way to spend an afternoon. 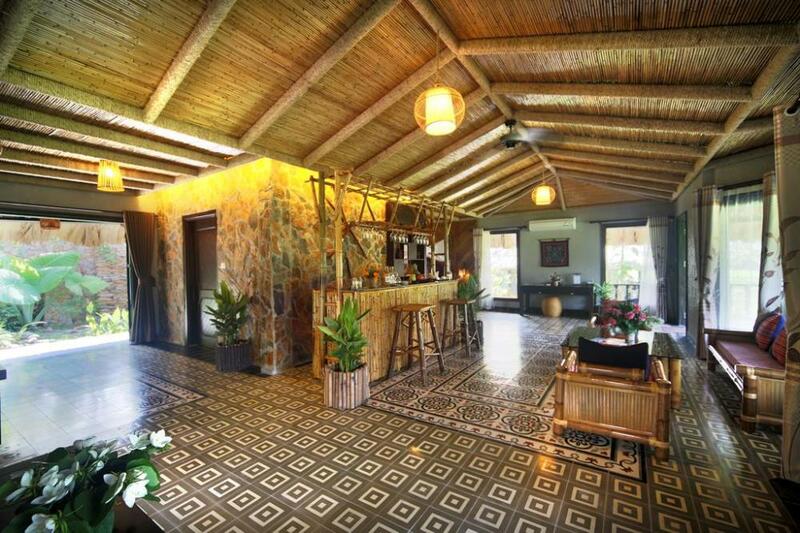 All in all it's a fantastic place to stay, truly unique in Vietnam, and with services and facilities to match. Highly recommended to go in autumn or springtime. 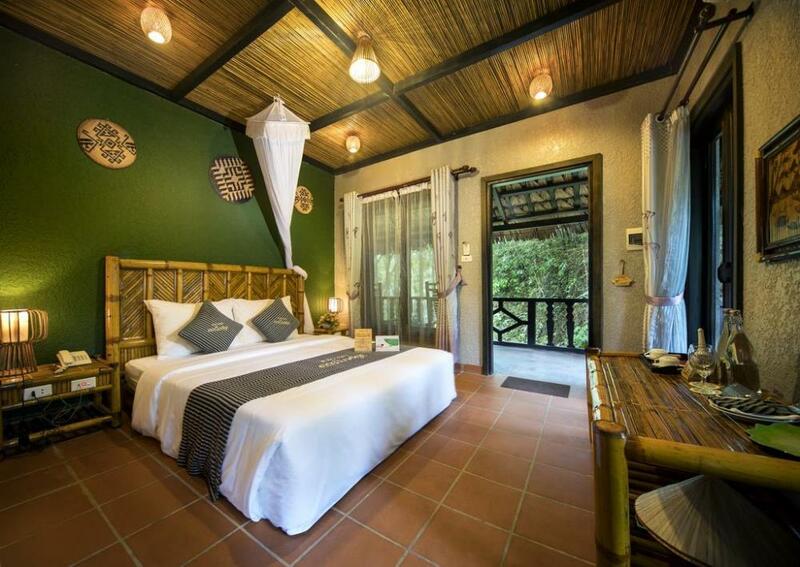 The perfect escape from Vietnam's bustling cities! We sat on the veranda, surrounded by the hills and rice fields, listening to the sound of ducks waddling through the dried rice fields. Great cycling through the local markets and villages. Relaxing, serene, peaceful. Food from the restaurant was incredible. The massage was ... interesting ... but better than no massage at all ;) It was too cold to use the pool but I wish it had been warmer because the location of it was stunning. 3 days and 2 nights was the perfect length of time. I actually left this place only a couple hours ago and couldn't wait to write about it. 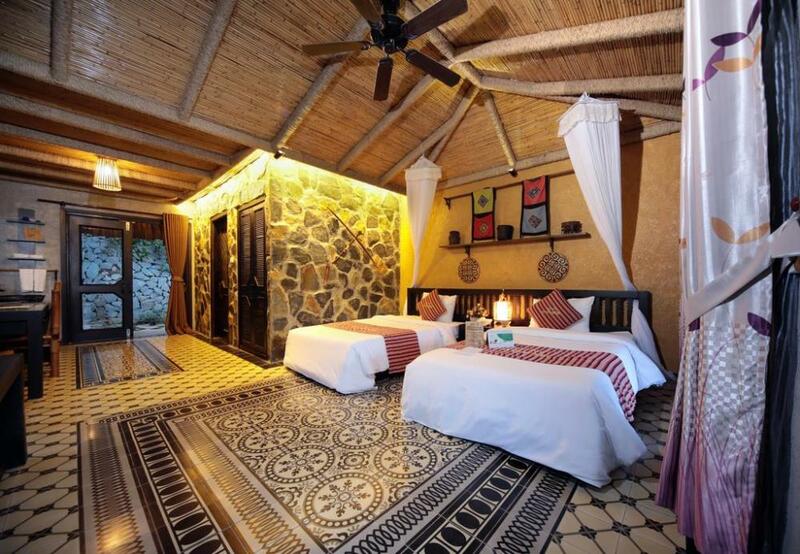 I would say that this lodge is a treasure of Vietnam. 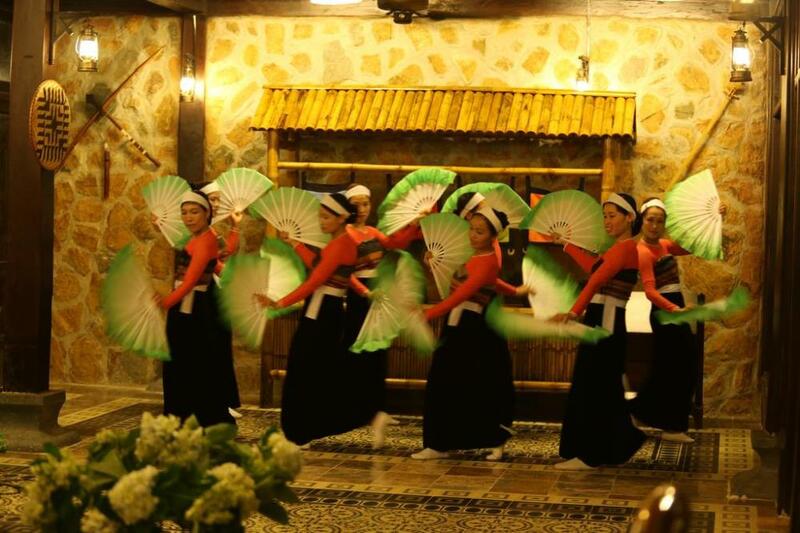 It represents Vietnamese culture, friendly people, music, food-all at once. 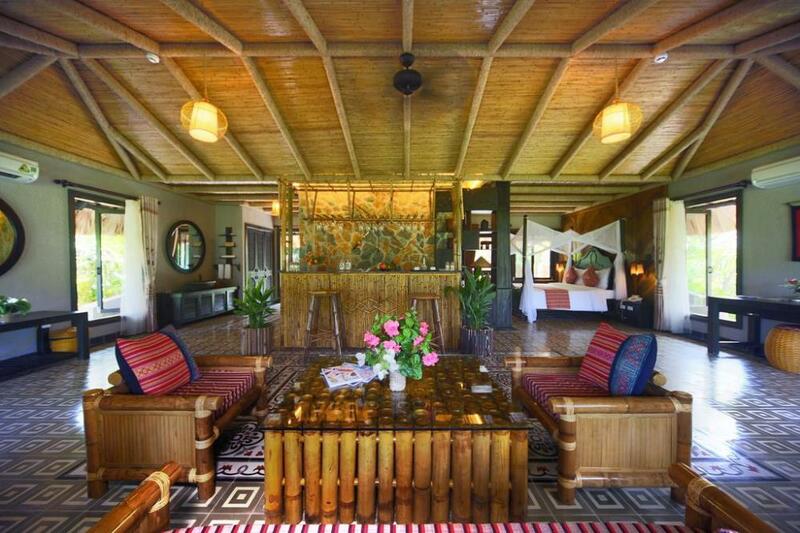 Lodge is located right above the endless rice fields, so when you get there and get surrounded by all the green nature you will get speechless. 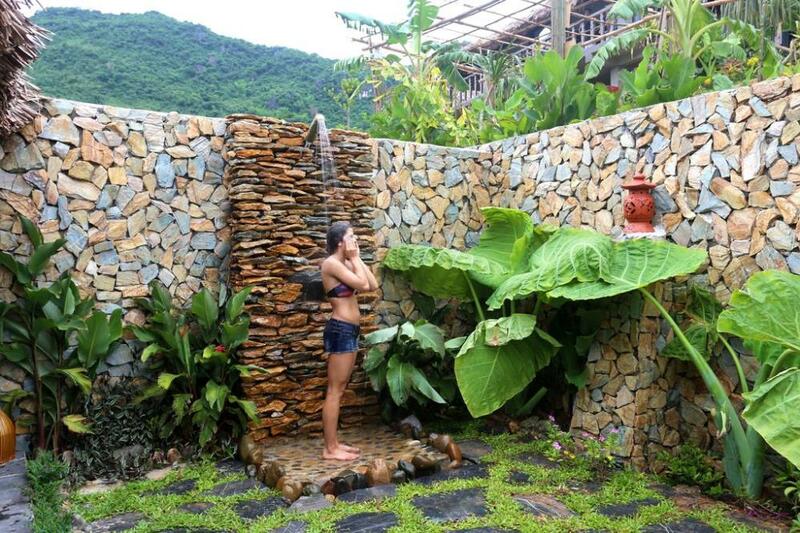 I was staying in one of the bungalows overlooking the fields and I had my own private pool, it was perfect. Bungalow inside was very clean, beautifully designed and had everything you possibly need-mini bar, bath robes, fruit etc. Hotel provided bicycles for all the guests and I used that oportunity to explore the village. Everywhere I would go, people were very friendly,nice, and even if they didn't speak english, they tried to communicate with me. They made me feel so welcome,it warmed my heart. Later at night I had a massage which was pretty good for a good price. Around 9pm they had local people performing a show with live music,this was also very interesting. 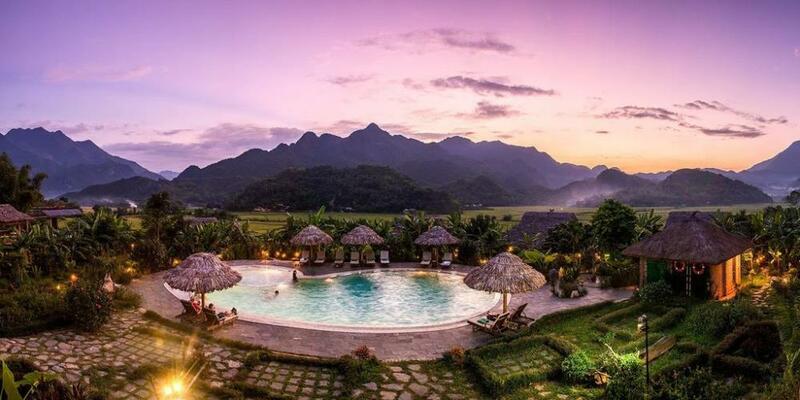 You could never go wrong if you stay at this resort and visit this village, I would say it's a must while in Vietnam. If I ever get back, I would definitively stay here again.